I first met Paul Bowles in 1973 at a dinner party in Tangier and immediately liked that soft-spoken, carefully dressed, courteous, blue-eyed American whose comments seemed to make sense. I had spent part of my childhood in the United States, but was living in Paris in strictly French surroundings and soon my main reason for coming to Morocco—I will now rather shamefacedly admit—was not to forge any particular link with the country, but to enjoy the privilege of brushing up on my English with educated expatriates or tourists, mostly writers and artists. They were an amusing lot, continually rushing to each other’s houses to announce the birth of a new word such as “quark” or “quasar”, which they had read in the Herald Tribune that morning. And the center, the stable turning-point of their shifting universe seemed to be in Paul’s obscure, plant-ridden apartment, where they claimed to find unexplained spiritual refreshment. After a while, some of them started pressing me to read Bowles’ fiction. With “The Delicate Prey”, I was swept into his enigmatic and ambiguous world—horrified, amused, overpowered by the clarity of vision, the truthfulness of detail. I suddenly found that my dreams were taking the form of short stories (or so it seemed for a brief instant on awakening), and since I had done some translations into French, I decided that Bowles’ tales simply must find a French outlet. He and I made lists of likely stories, then I visited various publishers’ offices and lent them that top-of-the-cream collection, “Pages from Cold Point”. But: “No money to be made from short stories”, came the boringly repetitious answer. The time was not ripe. It would be another ten years or so before a journalist from the national daily Libération, looking for unusual material, came to me asking for Paul's address and for an introduction. He subsequently wrote a long article on Bowles which set the ball rolling in France. Soon they scrambled for the least drop of ink from the great man's pen. Meanwhile, Paul—keen, I think, to be read by the French public—was patient with me. When a small young publisher decided to issue a collection of stories by Mohammed Mrabet, transcribed into English by Bowles from a tape in Moroccan Arabic, Paul suggested I do the French translation. Naively, I thought this would be good practice before working on Bowles’ own style and after that I should find translating Midnight Mass, for instance, smooth sailing. How wrong I was! In opposition to Mrabet’s characters, Bowles’s don’t simply do things, they think about them and react to them, sometimes through memories of what they formerly thought. And it becomes quite complicated when you want to choose the right terms to express all this in French. Paul was extraordinarily precise and he wouldn't let mistakes in a character’s point of view slip into a translation if he got a chance to read it. At times, he would spend hours correcting others’ errors in punctuation and typing. By his generosity in criticism, I believe he helped many people. I feel fortunate to have been one of them. CLAUDE NATHALIE THOMAS is a native of France, and after her initial education in France, she moved to the United States to study at the University of California at Berkeley and Bryn Mawr College, and then returned to Paris. 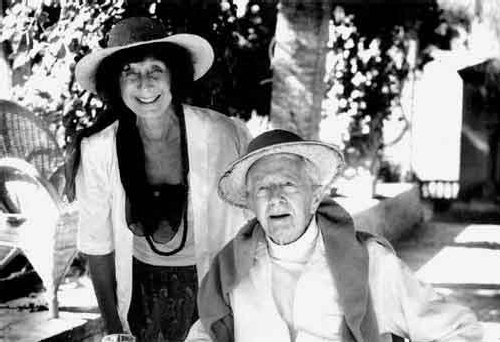 Madame Thomas was Paul Bowles's preferred French translator and a longtime friend. 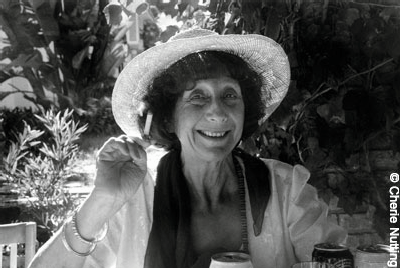 Among her many translations are: Le café de la plage by Mohammed Mrabet (Paris: C. Bourgois, 1989); La boucle du Niger by Paul Bowles, with illustrations by Miquel Barceló (Paris: Austral: Éditions Éric Koehler, 1996, 2010); La jungle rouge (Paris: Quai Voltaire,1988; Paris: Le Livre de poche, 1990); La Maison de l'araignée (Paris: Quai Voltaire, 1993); Réveillon à Tanger (Paris: Quai Voltaire, 1997); L'éducation de Malika (Paris: Mille et une Nuits, 1997; Paris: Gallimard Éditions, 2010); M'haschich by Mohammed Mrabet (Paris: L'Ésprit frappeur, 1998); and Adieu, Alice by John Hopkins (Paris: Table Ronde, 2001). Claude Thomas initiated and planned the Paul Bowles Centennial events that were held in Tangier, Morocco on October 27–31, 2010.